Beauty therapy is a growing market, and many women are feeling empowered enough to start their own businesses in the field. With the right qualifications and little real-world experience, anyone with some drive and determination could potentially start a small, private beauty company, find clients, and enjoy a fantastic lifestyle. And if you are worried about the costs of renting a therapy room – don’t. A lot of women start out by turning a room in their home into a makeshift beauty parlor – it can save you a fortune, helps you create a relaxing environment for your clients, and it could be the lifestyle business you have been looking for. With this in mind, here are a few suggestions on getting started with a home-based beauty therapy business. The first step is to have a serious think about whether or not your home is suitable for receiving clients. There is a reasonable amount to think about that could have an impact on your decision. The most obvious point is space – do you have enough? Depending on the treatments you intend to give, you might need enough room to set up a massage table or house a beauty therapy chair. You also have to bear in mind that unless you have a separate entrance to your potential beauty room, clients are likely to have to walk through your front door and hallway. And, of course, if you don’t have a dedicated therapy room, it will impact on your family’s privacy. Finally, before spending a cent on your new therapy business, it’s vital that you check out the local market. What is your competition? Is there a need for a business like yours? Will you get enough clients through the door to justify your decision? These are all important things to consider that you need to check. Of course, you can’t just set up shop in your home and start doing beauty treatments. In the vast majority of cases, you will need qualifications to prove you know what you are doing, and possibly even a license from your state to ensure you are working within a legal framework. So, have a good think about what you are qualified in, and, more importantly, what treatments you like doing. A lot of people start beauty businesses thinking they love a particular treatment, but soon realize it’s not for them. For this reason, it’s a good idea to get some working experience at a local salon or therapy center before investing your life’s savings in a business you don’t actually like. Don’t forget, this is all about starting a company that fits your lifestyle, so loving what you do is vital. OK, so once you have made your decision to press ahead with the plan, it’s time to start investing. Buying equipment is your first step, and there are a few questions you need to answer first. First of all, how much space do you have? Make a note of your room measurements and refer to them before buying anything – you don’t want to spend a small fortune on a treatment table that doesn’t fit comfortably in a room. You also need to have a good think about whether you need to buy brand new or can get away with used equipment. Given the nature of the beauty business, the ideal would be to wow your clients, so while used equipment is generally a lot cheaper, it could leave the wrong impression. Now it’s time to think of your new company’s USP – or unique selling point. What is it that you can do that no other business can provide? Maybe you can offer cut-price treatments, for example, or even look towards a more luxurious approach and target the high-end market? You will also need to consider building a website to attract customers from your local area, so contacting a developer to help you out is likely to be necessary. 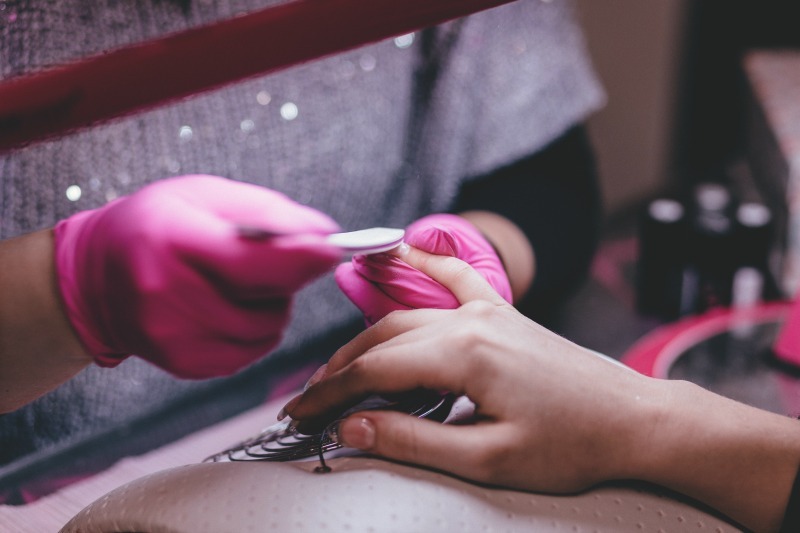 Think about the clothes you wear, too – a proper uniform is essential if you want to be taken seriously as a beautician and add a professional sheen to your service. As discussed over at www.wonderwinkscrubshop.com/, there are plenty of stylish scrub-type uniforms available that can give your business a unique look. Finally, start putting yourself out there. Get some smart business cards printed out, tell all your friends and offer them discounts to be one of your first customers, and encourage them to tell others. Word of mouth is always the best way to get a business started, so ensure that you give everyone a truly memorable experience that they can’t resist talking about. A quick word on insurance – get the right cover! Anyone offering treatments of any kind must have insurance to get coverage in the event of an accident occurring. As a small business owner, there’s no way your business will be able to afford a payout if you accidentally make a serious mistake with one of your clients. As www.trustedchoice.com/ point out, there are a few insurance types to consider. Public and product liability insurance are both essential, and it’s a good idea to get professional indemnity, too. If you end up hiring an assistant, or any other member of staff – such as an admin assistant – make sure you have the relevant employers insurance. As your business progresses, you’ll soon find there is a limit to the number of clients you can have. There are only so many hours in a day, after all. However, by continuing your education and learning new beauty techniques and methods, you will be able to offer a broader range of specialist services. And, as a result, charge your clients a little more for your skills. Realistically, developing yourself professionally is the only way you can balance earning more income while keeping your lifestyle business in the home, so the last point to remember is an important one: always be learning! Good luck with the business idea!